← ESPN #1 Cable Network. ‘MNF’ Top Cable Program. NBC #1 Broadcast Network Monday. ‘The Voice’ Top Program. Drama and baseball dominated viewing on television on Tuesday. The Daily Diary Of Screens #dailydiaryofscreens 🇺🇸🇬🇧🇦🇺💻📱📺🎬﻿🌎﻿. For Tuesday, October 16, 2018. This is your U.S. Daily Television Ratings Platform. In the U.S., CBS #1 broadcast network Tuesday in prime time as NCIS‘ was #1 broadcast program with an average 11.677 million viewers. In the U.S., FS1 #1 cable network Tuesday in prime time as ‘MLB NLCS‘ featuring the Milwaukee Brewers vs Los Angeles Dodgers was #1 cable program with an average 4.087 million viewers. In the U.S., TEL was the #1 Hispanic network Tuesday in prime time as ‘Exatlón‘ was the top Hispanic program with an average 1.475 million viewers. 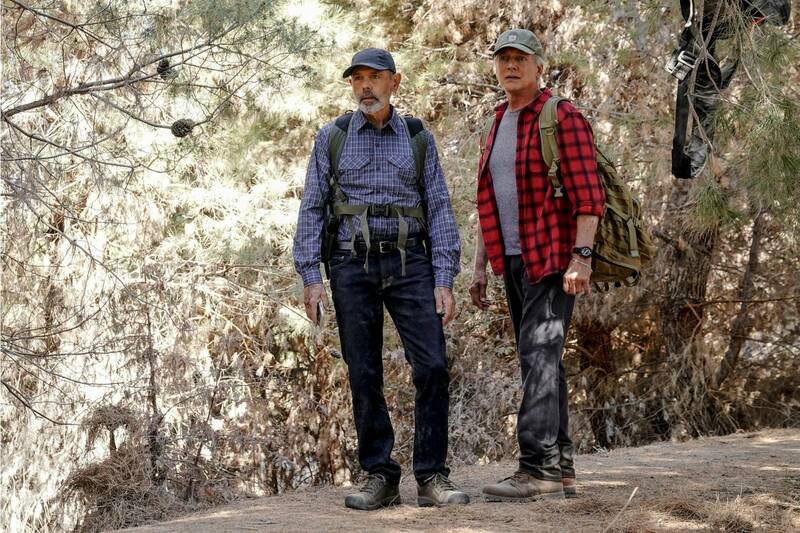 ‘NCIS’ top broadcast program Tuesday 101618. 8P ‘NCIS‘ finished #1 broadcast program Tuesday in prime time with an average 11.677 million viewers. 9P ‘FBI‘ finished #1 in the time slot with an average 9.390 million viewers. 10P ‘NCIS:New Orleans‘ finished #1 in the time slot with an average 7.376 million viewers. 8P ‘The Voice’ finished with an average 8.818 million viewers. 9P ‘This Is Us’ finished with an average 8.863 million viewers. 10P ‘New Amsterdam’ finished with an average 6.380 million viewers. 8P ‘The Connors’ series premiere finished with an average 10.458 million viewers. 830P ‘The Kids Are All Right’ finished with an average 6.576 million viewers. 9P ‘Blackish’ finished with an average 4.531 million viewers. 930P ‘Splitting Up Together’ finished with an average 3.725 million viewers. 10P ‘The Rookie’ series premiere finished with an average 5.377 million viewers. 8P ‘The Gifted‘ finished with an average 1.946 million viewers. 9P ‘Lethal Weapon‘ finished with an average 2.910 million viewers. 8P ‘Exatlón’ finished as the #1 Hispanic program Tuesday in prime time with an average 1.475 million viewers. 8P ‘The Flash’ finished with an average 1.636 million viewers. 9P ‘Black Lightning’ finished with an average 1.036 million viewers. 8P ‘MLB NLCS’ featuring the Milwaukee Brewers vs Los Angeles Dodgers was the #1 cable program Tuesday with an average 4.087 million viewers..
CBS finished #1 broadcast network Tuesday in prime time with an average 9.481 million viewers. NBC finished with an average 8.020 million viewers. ABC finished with an average 6.007 million viewers, UP + 57.4% vs SD 2017. FOX finished with an average 2.428 million viewers. TEL finished #1 Hispanic network Tuesday in prime time with an average 1.349 million viewers. The CW finished with an average 1.336 million viewers. UNI finished with an average 1.221 million viewers. Broadcast network viewership Tuesday in prime time finished with 27.272 million viewers. DOWN -451,000 viewers (-1.7%) vs 27.723 million viewers SD 2017. This entry was posted in #dailydiaryofscreens., Audience Analysis, Audience Behavior, Audience Management, Broadcast TV Ratings in US, Cable TV Ratings, Cinema, Daily TV Cable Ratings, Data, Digital, Direct, Late Night TV Ratings, Marketing Notes, Media, Media Analysis, Media Management, Mobile, Social Media Note, Television Ratings, Today In TV History, Tuesday Night TV Ratings, Uncategorized and tagged 'Exatlón' #1 Hispanic program Tuesday 101618, 'MLB NCLS' #1 cable program Tuesday 101618, 'NCIS' #1 broadcast program in prime time Tuesday 101618, ABC only broadcast network that was UP +57.4% Tuesday 101618 vs SD 2017, Broadcast networks DOWN -1.7% Tuesday 101618 vs SD 2017, CBS #1 broadcast network Tuesday 101618, CNA|SOPHIS, FS1 #1 cable network Tuesday 101618, Lance Hanish, TEL #1 Hispanic Network Tuesday 111618, Why CBS Is Retail's Best Bet To Reach Eyeballs. Bookmark the permalink.